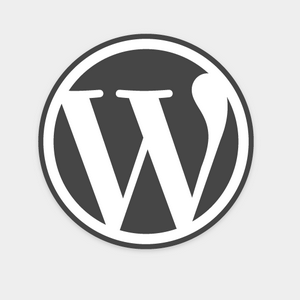 WordPress is the best platform for business blogs. Formatting or optimizing a blog post in WordPress can be as simple or complicated as we make it. I think over the years we’ve made the process way too complicated. With all the focus on SEO, social media and all kinds of other things I think sight was lost on the reader and what’s best for their reading experience. There are some great WordPress add-ons, plugins and software that can guide you with formatting a post, but again they seem to focus more on search engines and social media than on readers. So in this post we’ll keep the focus on readers – what’s best for them and what’s best for your blog. One note before we get started is that these are things we’ve found to work with all the posts we’ve written at Ghost Blog Writers. However, we’re always tweaking and looking for ways to improve. Sometimes that involves changing something a little bit and sometimes it involves a big change just to test the waters. We might take a title that’s 50 characters and up it to 75 or even 100 characters. You never know when you’ll stumble on something that works better. So use these things as starting points, but always experiment to keep things fresh and interesting for your readers. Some will argue that the title of your blog post is the most important element of the post. I don’t know if it’s the most important element, but it’s certainly important. The reasoning is that many people are introduced to the post with the title. They might see the title on a search result, a social media update, in an email or even if they stumble directly to your page. If they don’t like the title they’re not going to clickthrough to read the post. So it doesn’t matter if the content is the best on the web. You need a good title to get people through the door. The general rule on titles is to give a little and make them want more. It’s not easy to do. How To: These posts, including the one you’re reading, show people how to do things. In general, people are curious so finding out how to do something they don’t know how to do or something they want to improve on is a good title. Lists: People like lists. Maybe it’s because they’re easy to scan. Maybe it’s because of the ordered format. I don’t know exactly, but lists seem to work well. Really any post with numbers in the title can do well. Stay away from words like “Greatest” and things like that. You want to be enticing, but not ridiculous. Words Like “Mistakes”, “Lose”, etc. : People don’t like to make mistakes or to lose things. Ask a question like Are You Making These 7 Mistakes? and you can get some good traction with the title. But don’t simply mention the mistakes; give action steps on how to do the right thing. 60 Characters: This is a pretty solid rule. I like it more because shorter titles are more appealing to the human eye than long titles. But it’s also a rule for search engines. They don’t really show more than 60 characters on search results. Again, I sometimes go against this one to test a really long title. You never know. Watch For Symbols: Stay away from symbols like &, %, $ and others when possible. Things get screwy on the web with these. My general rule on URLs was to use the 3 to 5 most relevant words from the title. Lately we’ve been leaving the entire title in the URL, but I think they’re getting too long so we’re going to go back to trying the 3 to 5 word rule. The biggest thing again is for when people look at the URL whether it’s on Google, a social media update or even when it’s pasted somewhere online. Short URLs just look better than long URLs. 3 to 5 Words: Choose the most relevant ones. If you need more you can probably turn the post into two different posts. The biggest rule I have on publish date or day of the week is to publish consistently. It makes your blog more ordered and organized. People like consistency so if the best day for you to publish is on Wednesday then keep it the same each week. It does seem like Monday through Thursday are the better days, but Friday can be a good day. I would generally stay away from the weekends. Internet traffic seems to be down on those days. Time of day is another variable. I like mornings so most posts we publish for ourselves and clients publish in the morning. Consistency: Publish on the same day always so your readers know what to expect. Avoid Weekends: You can publish on these days, but there seems to be less traffic on the weekend. Mornings: People seem to like mornings and you get the whole day to promote the content. Categories and tags are similar in that they help organize your posts for readers. For our clients we try to find about 3 to 5 categories for posts. It just helps to organize the posts into categories so readers know where to find more information if they want to dive into the archives. It also helps for finding your own posts once you get into the hundreds on the number of posts you have. 3 to 5 Categories: Seems to be a good amount, but you can deviate if you need to. 1 Category Per Post: We like to keep categories to a minimum and use multiple tags instead. We use tags to describe things that are a little more specific in the post. So you could have a DIY Projects category on your blog about plumbing and the tags might be Bathroom, Sinks and Fixtures. We like to keep tags to about 3 to 5 like categories, but you could do more if you’d like. 3 to 5 Tags: Nice and simple. More Specific Than Categories: It helps people search for information in your archives. Excerpts is a function on some WordPress sites while others allow you to use the Read More tag. They’re the same thing. I like them both because it limits the words on the archive pages on your blog or on your main blog page. Some blogs have the full post on the main blog page and that’s fine, but for my personal preference I like to show only part of it. 2-4 Sentences: And keep the sentences short. You’re just looking to get people really interested in the article. For the Read More tag we’ll use the first few sentences and sometimes the full introduction. The introduction, like the title, is very important. It seems that if people like you’re title they’ll clickthrough to your post. Then they’ll scan the post so it’s important to have sections so it doesn’t look like one huge block of text. That scares people away (Oh my gosh, this will take forever to read…). But once they scan and see that the post looks interesting they’ll read your introduction. Pull them in with stats, a question or a big promise. Short Sentences: Really ease people in to the article with one sentence paragraphs and short sentences. It might look weird, but it makes it easier for people to ease into the material. Use Stats: People like numbers and stats show that you’re not just making claims. Always link to the sources. Don’t be afraid of people leaving your post. If they are intrigued by what you’re saying they’ll keep reading. We really like to break our posts up into sections. It helps for organizing the content within a post. People can scan it when they first read it. They can also come back and read certain sections after their first read. Sections in a blog post are like chapters in a book or even segments in a TV sitcom. Heading Tags: Your title will often be formatted as a Heading 1 (H1) tag. This is the most important heading. For the next important section or sections use the Heading 2 tag and for secondary sections use Heading 3. You see that in the post you’re reading now. Short, But Descriptive: You want to give readers enough information, but don’t make the sections too long. Maybe 3 to 5 words at the most except for extreme cases. It’s easy to leave out the conclusion and sometimes it’s okay, but the conclusion really pulls things together and gives the reader something to do once they’re done with the post. Wrap up the main points in the post. Give a final statement that you have on the material. Then provide a call to action or action step of some kind. You always want to give the reader a next step. It might be asking for a comment. It might be asking them to take the information and go do it like if you’re telling them how to fix the sink in their bathroom. Or it might be asking them to signup for your email newsletter. Images are great in blog posts. We use at least one in nearly all of the posts we write. Use the captions on photos. When people are scanning they read captions just like they do in magazines. There is really no rule on images. You can do full width across your blog space. You can left or right justify them. We’ll have to write an entire post on images for WordPress because it can be tricky. We like to right justify images that are about half of the space or even a bit less. You can see above. But we also do centered images that are about 500px wide. SEO is very important for blogging, but don’t focus too much on what you think the search engines want from you and your blog post formatting. You’ll lose focus of the fact that you’re writing for people. Google and the other engines do what’s best for their users and you should do the same. Make the content in your posts relevant to your readers and format the post so the experience is a good one. Follow those two rules and you’ll do just fine with SEO. Focus on a good experience on your blog with good content and you’ll do just fine on social media. You can tweak titles and things for social media to get more clickthroughs and shares, but if you simply optimize for good content and a good on-site experience you’ll do all the things that make for a socially optimized blog post. Don’t overthink the formatting of your blog posts. Make it easy for your readers to understand. Make reading the post a good experience for the reader. The biggest thing is the sections I believe. It really makes a post more digestible if you break up the content. There are beliefs that people won’t read long posts. Well, you just read a post that is pushing 1,800 words so that rule isn’t always true. As long as you break up the content into sections you’re going to do just fine. Now it’s time to go and format your next blog post. Use the rules above to get you started. They’ll make your posts look good and from there you can experiment with different variations that might work for your specific reader.